What a great book cover -- draws you to the story right away. Love the theme of cooperation and teamwork, which are important for kids to learn. This is a great classroom book and I like how you will use it with kids. Cool! I'm currently writing a nonfiction book about two artists collaborating. Will take a look at this to see how it's done in a fictional way. Thanks for highlighting! Collaboration is HARD! Even for adults. I'm interested to read this book. Thanks for sharing it. I love books about collaboration and differences. They are relevant right up into adulthood! 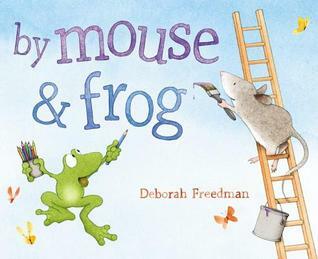 I love Deb's books - definitely looking for this one. Must Read it Now! Quite a few of Deborah's books on PPBF. I'll have to get a look at this one. Thanks.